The Airports Economic Regulatory Authority of India (AERA) has allowed DIAL to charge the baggage scanning fee after the airport operator remitted almost INR 1.2 billion to the government. Passengers who will be flying out of Delhi airport will be charged extra for X-ray baggage from February 1,2019. 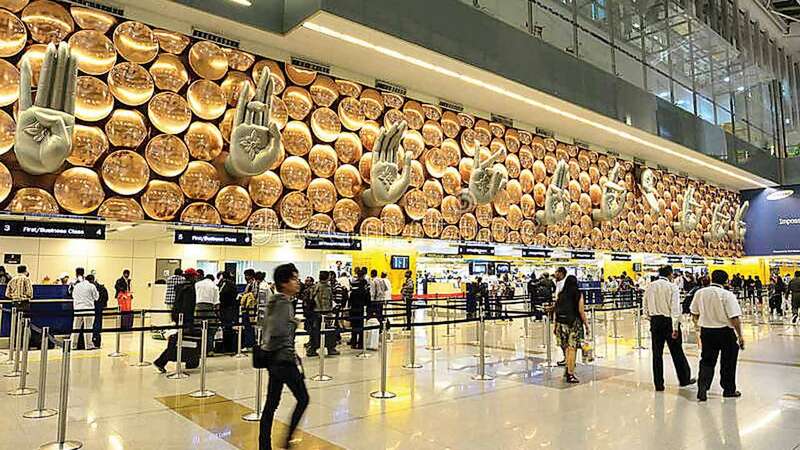 Delhi airport operator Delhi International Airport Limited (DIAL) will start charging for X-ray baggage on airlines, according to a January 10 order by the Airports Economic Regulatory Authority of India (AERA). The applicable charges range from INR 110 to INR 880 (depending on the number of seats on the plane) per aircraft flying on domestic routes. For the international flights, the charge would be USD 209.55 (around INR 14,908) for wide-body planes and USD 149.33 (around INR 10,624) for narrow-body aircraft, according to an AERA order. The airlines on the other hand are expected to pass on these charges to their customers flying out of Delhi. “A passenger who takes a domestic flight is unlikely to pay more than INR 5 as X-ray baggage charge. On an international flight, the per passenger charge would not be more than INR 50,” a source told an Indian news agency. This decision of charging X-ray baggage was made after DIAL remitted almost INR 1.2 billion to the government. As per the AERA order, the Delhi airport operator, on October 24, 2018, submitted that it had procured assets relating to baggage screening equipment worth INR 1.19 billion (approx) from Passenger Service Fee (PSF), and INR 22.3 million from DIAL’s own fund. AERA then stipulated that DIAL will be entitled to charge X-ray baggage fees if it remitted back the amount spent from PSF. DIAL is a consortium that is majority-owned by the GMR group. The airlines are already being questioned for their decision since December 1 that passengers flying out of Delhi airport have had to shell out INR 77 per ticket towards facilitation component of the PSF, which replaced the much lower User Development Fee of INR 10 for domestic passengers and INR 45 for international passengers. For domestic routes, the charge would be INR 110 for a plane with up to 25 seats and INR 220 for an aircraft having 26-50 seats. For planes with 51-100 seats, the charges would be INR 495 and for 101-200 seater aircraft the rate would be INR 770. The amount would be INR 880 for those having more than 200 seats.